His first productions at the Kirov Theatre – “The Stone Flower” (1957) and “The Legend of Love” (1961) – had a huge success. They played a crucial role in the life of Yuri Grigorovich: first, he found his co-author and coworker in the person of an outstanding theater artist Simon Virsaladze, with whom he worked until his death in 1989, second – he made it into history of ballet as brilliant choreographer who has created a series of ballet masterpieces which are included into the Gold Fund of Choreography, and third- he started his fast career development. From 1961 to 1964 he is a choreographer at the Kirov Theatre. And in 1964 he became the chief choreographer of the Bolshoi Theatre. He leaves the theatre in 1995 to return back in 2008. During his time at the Bolshoi Theatre Yuri Grigorovich revealed to the world a galaxy of outstanding performers who became legends of the world of ballet: Maya Plisetskaya, Natalya Bessmertnova, Ekaterina Maksimova, Ljudmila Semenyaka, Nadezhda Pavlova, Nina Semizorova, Michael Lavrovsky, Vladimir Vasilyev, Yuri Vladimirov, Maris Liepa, Vjacheslav Gordeev, Alexander Godunov, Irek Mukhamedov, Nicolay Tsiskaridze and it is not a complete list of brilliant dancers. In 1996 he founded the Ballet Theater in Krasnodar (now the ballet company, “Grigorovich Ballet”) still remains its artistic director. 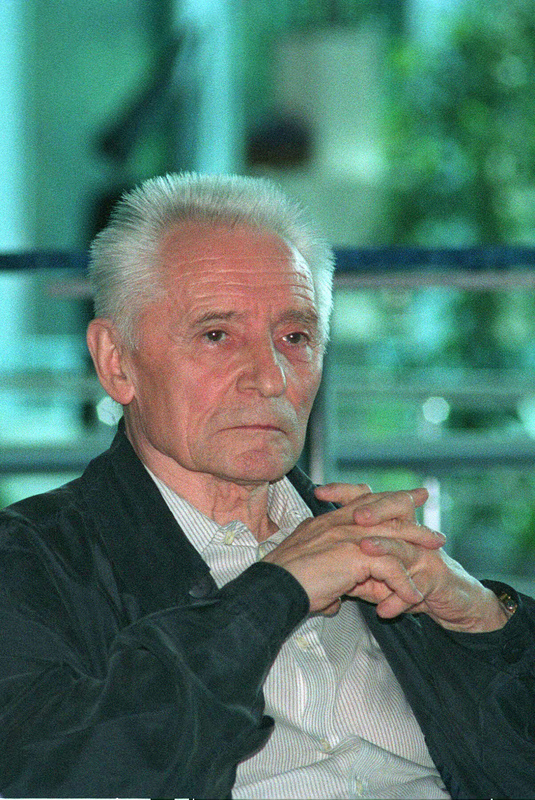 Yuri Grigorovich transferred to the Bolshoi Theatre (in new editions) his ballets: “The Stone Flower” by S. Prokofiev (1959), “The Legend of Love” by A. Melikov (1965), “Romeo and Juliet” by S. Prokofiev (1979, world premiere was held at the Paris National Opera, 1978). At the Bolshoi Theatre he created his original ballets – “The Nutcracker” by Tchaikovsky (1966), “Spartacus” by Khachaturian (1968), “Ivan the Terrible” to the music of Prokofiev (1975), “Angara “A. Eshpai, ” The Golden Age ” by Shostakovich (1982), and he also created his version of the ballet classics -” Sleeping Beauty “by Tchaikovsky (1963 G., 1973), “Swan Lake” by Tchaikovsky (1969, 2001), “Raymonda” by Glazunov (1984, 2003), “Giselle” by Adam (1987 . ), “La Bayadere” by Minkus (1991), “Le Corsaire” by Adam (1994), “Don Quixote” by Minkus (1994). In 1974-88 he was a professor of choreography department of the Leningrad State Conservatory named after N.A. Rimsky-Korsakov. Since 1988 he is the head of the choreography department at the Bolshoi Ballet Academy. Grigorovich is a member of the Vienna Music Society and the Ukrainian Academy of Dance. In 1975-85 years he was president of the Dance Committee at the International Theatre Institute UNESCO. Since 1989 – the President of the Association of Choreography. In 1990 he became president of the “Russian Ballet” Fund. Since 1992 – President of “Benois de la danse” – annually awarded prize for outstanding achievements in the art of ballet. Since 1973 he is the permanent chairman of the jury of the International Ballet Competition and contest of choreographers in Moscow as well as president of the jury of many more international competitions in the world – Serge Lifar International Ballet Competition, Yuri Grigorovich International Competition “Young Ballet of the World”, as well as ballet competitions in Bulgaria (Varna), Spain, the U.S.A, Switzerland, Japan, South Korea, China, Austria, Turkey and Italy. 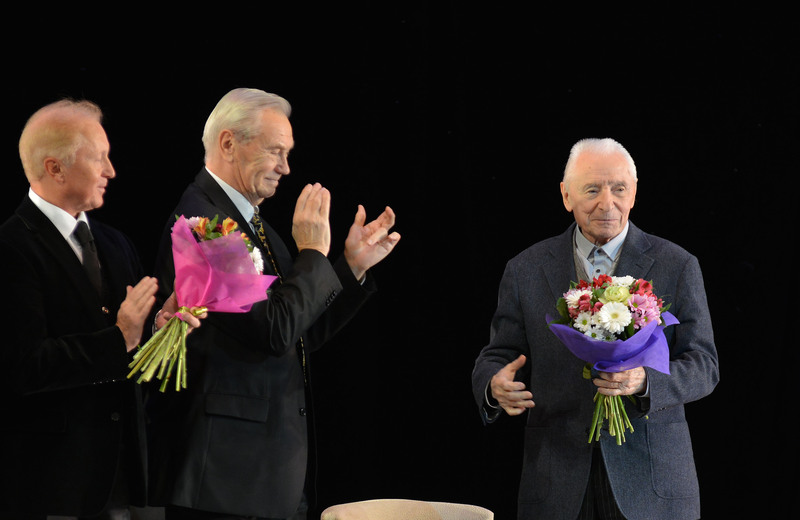 Over and over again Yuri Grigorovich transfers his ballets to a numerous theaters in the country and the world. In each of his new productions Yuri Grigorovich it is never the same, and he always finds a new approach and techniques to realize his artistic ideas of a choreographer, director, librettist. And in each of his productions there can be clearly seen the hand of the Grand Master of art of ballet. 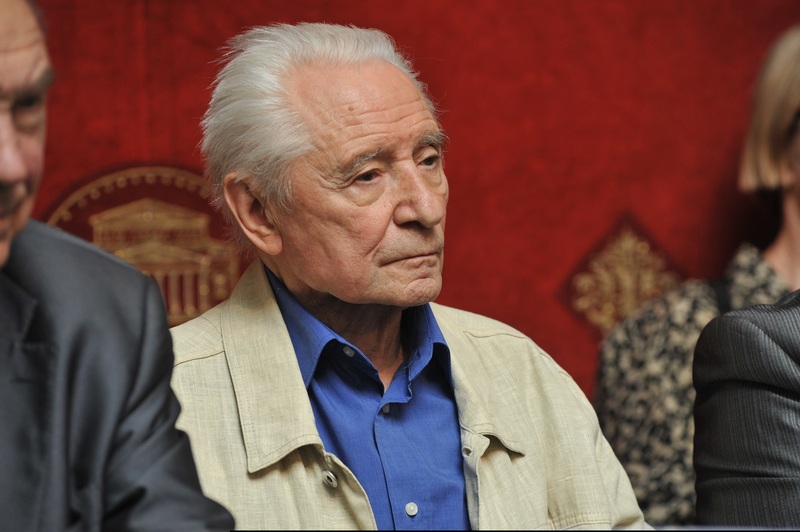 Some of his ballets were filmed – “Spartacus” (1976) and “Ivan the Terrible” (called “the Terrible Century”, 1977). 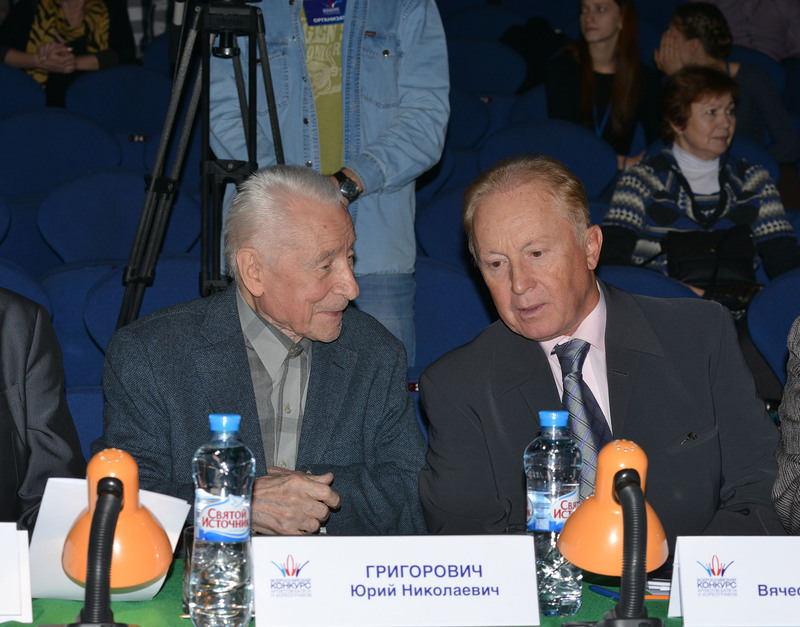 To the life and career of Yuri Grigorovich the films “The choreographer Yuri Grigorovich” (1970), “A Lifetime of Dance” (1978), “Ballet in the first person” (1986) were dedicated.